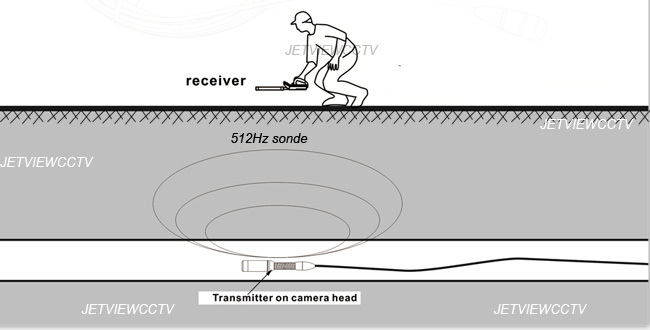 512Hz Sonde Transmitter for Pipe Drain Sewer Inspection System, Jetview Electronics (H.K.) Co. Ltd. 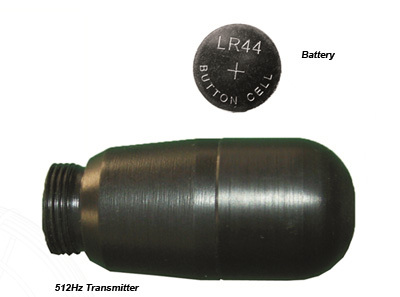 This is a 512Hz Underground Sonde transmitter for Sewer/Drain Pipe Snake Inspection System. It can be used with any Jetview pipe inspection systems or other compatible system. It works with Jetview CM512RCVR matching receiver to find locations of septic tanks inside the pipe.